One of the purest joys can sweep over you when you grab a cup of your favorite brew and your warmest blanket to set off in search of a quiet nook with a good book in hand. The joy of that intimate time, alone with the writer's words spilling off the page and into your lap, can be hard to match since it's not often that we can go visit the writer and have her or him read the printed thoughts to us. So when that opportunity presents itself, it's best not to let it pass us by like a cool, cloudless evening. Erie, this is your chance. If you're looking to hear a poet and writer read their own work to you, now is the time, as the spring semester Creative Writers Reading Series at Penn State Erie, The Behrend College begins Thursday, Feb. 9 with readings by faculty members George Looney and Kim Todd. Professor Looney and Assistant Professor Todd, who both teach in the college's BFA creative writing program, will share their newest published works at 6 p.m. in the college's Larry and Kathryn Smith Chapel at event free and open to the public with free parking will be available in the college's Junker Center lot. Looney will read from "A Short Bestiary of Love and Madness," his most recently released collection of poetry. "Every poem in this collection makes use of a particular animal and something about its nature and/or behavior as the central trope of the poem," said Looney, who added that he plans to read a few poems from his sixth collection—"Monks Beginning to Waltz," due out March 1—at Behrend Reads the following Thursday. "Bestiary" marks Looney's fifth collection of poetry and the poet's seen a collection published in each of the last three years. "Each of the collections had been worked on for many years," he explained. "In fact, each of these three collections were first drafted before I came to Penn State Erie, The Behrend College. I have been working on them—and other manuscripts—for the 13 years I have been here, but each of these three started more than 13 years ago, one as long as 27 years ago." In certain previous poems, landscapes seem to be at the heart of Looney's poetry. This collection, he said, "it is the 'landscapes' of the animals that figure significantly in the poem, so there are some familiar places but there are also deserts and oceans and very cold places." 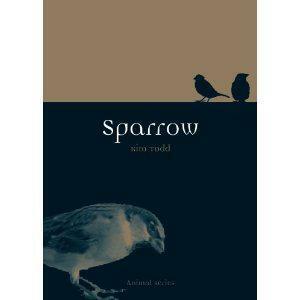 Todd's newest book, "Sparrow," is part of Reaktion Books' Animal Series. Her previous book, "Chrysalis: Maria Sibylla Merian and the Secrets of Metamorphosis," was selected as one of the best science/technical books of 2007 by the Library Journal, and as a Book to Remember by the New York Public Library. Her first book, "Tinkering with Eden: A Natural history of Exotics in America," received the PEN/Jerard Award, the Sigurd Olson Nature Writing Award and was selected as one of Booklist's 2001 Top Ten Science/Technical Books. "Each previous book lays the ground work for the one that comes next," explained Todd. "My last book was rather sprawling, covering the biography of a woman (Maria Sibylla Merian) and a history of an idea (metamorphosis). It spanned 300 years and several continents. Sparrow focuses in-depth on a small subject, one that can, literally, be held in the hand." In choosing sparrows, Todd was looking for a challenge. "As a person who writes about animals, I read a lot of writing about animals. There is a whole category of critters that people love to tell stories about called 'charismatic megafauna.' As the name suggests, these are large and good looking, and make good poster species for causes, like the polar bear as a symbol of climate change. I thought it would be a challenge to write about something small and indistinct like the sparrow. What do they mean to us, these rather pesty creatures that are rarely noticed but always around, sharing our urban environment and, sometimes, even our houses?" Eric Botts, a student at Behrend who's taken classes with both Looney and Todd is excited for the chance to see his professors share their work. "I absolutely plan to attend Kim and George's readings for several reasons," he said. "I've come to see them as both mentors and friends whose endeavors I want to support as much as possible. Beyond that, knowing something about the work of my teachers is important in that it helps me understand how they apply the ideas they teach in class." Botts, who says he's seen music, art, and writing venues and groups come and go, believes readings like this one that features accomplished writers "reassures Erie that it has the capacity to foster such talent." Both poet and writer, who've read together before, feel the pairing is fitting and appropriate given the timing of their releases and the nature of their content. "Kim and I have both read at various Behrend Reads, but this reading came about because we both had new books coming out at about the same time, and her book is all about Sparrows and my book is a Bestiary, with many bird poems included, including a sparrow poem," Looney said. "It just seemed like a good idea for us to do this reading together." "I've read with George before," Todd added, "and I'm looking forward to reading with him again. His book clearly has the better title and has the advantage of containing poems by George Looney, but mine includes a photo of Johnny Depp's tattoo. I think we're even." For additional quotes and thoughts, check out the web-exclusive here.